Even the leftovers are photogenic. AND multipurpose - save 'em, freeze 'em, make stock. It is one of my favourite things for so many reasons: therapeutic to cook, heartwarming to eat, soul feeding, body balancing, a feast for the eyes, and in my opinion, one of the best dishes you can possibly make when living alone. It freezes well, is infinitely adaptable, can make for an epic fridge clean, this list could very easily go one. But I think you get the picture. For literally as long as I can remember, I have been eating Ratatouille. It was made for me by my Granny, my mum, and now myself. Each person’s adaptation reflective of their own food journies. Each version different from the last. It is the best kind of love, on a plate. For some reason it feels like a rather vulnerable thing to share with the internet. As if I’ve somehow invited it to pull up a seat at our family dinner table. But that’s what food is. An invitation into a home. For me, it’s the ultimate comfort food, and the epitome of #1Dish1Week. To be honest, I’m fairly certain it’s the first dish I ever subconsciously ate in this way. So I’m not really sure why it took me so long to share with you… nevertheless. Here it is. Get ready to have some fun with the humble Ratatouille this week. There will be no more boring meals in this one-man household. nibs etc. original recipe. Serves 5-7 depending on portion size and application. Char (or broil – under the grill in your oven) your red pepper until black all over – could take up to 10 minutes. Once well charred, place into a glass bowl and cover with cling film, making sure all edges are well sealed – the steam will help with the peeling – and let sit for 10-15 mins/while you prep your veg. 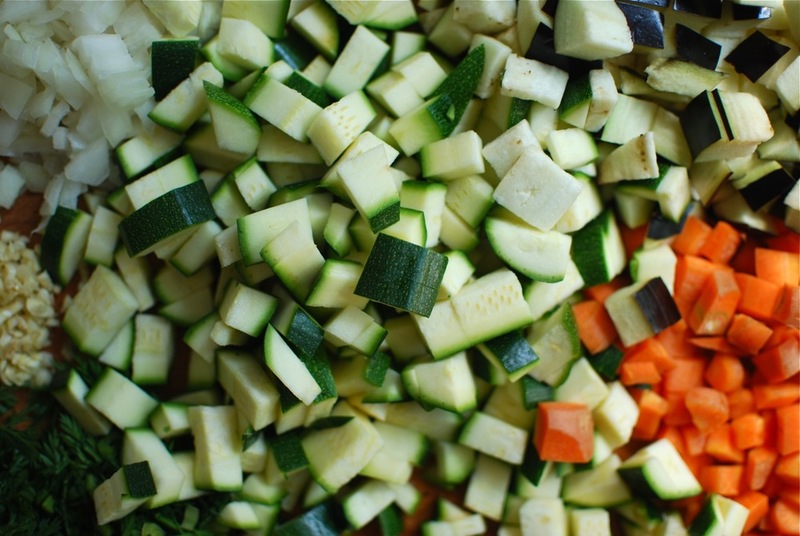 Cut up all the veg, making neat – or not so neat – little piles all over your chopping board as pictured here, so as to be able to easily add in separate veg-batches to the pan when time comes. Finely chop/crush garlic, but as for the rest, onion included, try to ensure even sizing; about 1cm cubed. Peel, de-seed, and puree your pepper. Heat a glug of olive oil on medium high heat, in a large saucepan. Add the onion until translucent with a pinch of salt and pepper. Add the garlic, coat in oil, cook until starting to golden. Next, add the herbs, tomato paste, pureed pepper, and reduce for a minute or so, before adding the carrots and aubergine. Season with salt and pepper, drizzle of olive oil, and toss to coat. 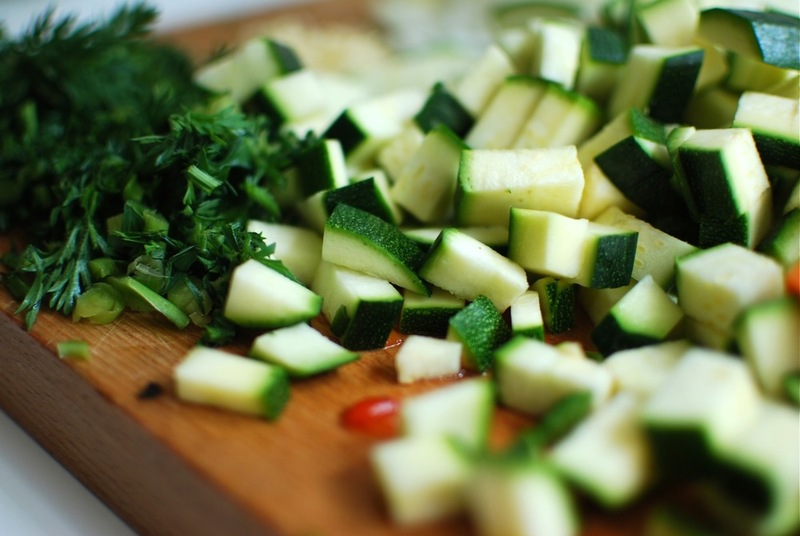 Wait until the above veg are starting to soften and brown, before adding courgettes. Sauté for a couple of minutes until all softened and browning. Finally, add in all the tomatoes, zest of lemon, cinnamon, ½ chopped carrot tops, and bay leaf. Season with salt, pepper and sugar. Cover and simmer on low for 20-30 minutes. Taste and adjust seasoning (perhaps a touch more sugar depending on tomato acidity, or salt, squeeze of lemon juice, herbs, go with it) at 20 minutes. At this point, add any fresh herbs you so desire/have on hand, and or ¼ chopped carrot tops. Then for the last 5-10 minutes simmer uncovered. When ready, take off the heat, and leave uncovered while you cook your pasta. I find that when it isn’t piping hot, the flavours come through much more. Serve on top of freshly cooked pasta, topped with chopped carrot tops or fresh parsley and or basil, drizzle of olive oil, grated cheddar and freshly cracked pepper. *I had both lemon peel and thyme in my freezer, so blended the peel until fine before adding, and in addition to my tablespoons of herbs, added about 10 sprigs of frozen thyme. Add any veg you’ve got left in the fridge: parsnip, cauliflower, squash. Just make sure to cut to size for even cooking. Replace all dried herbs with fresh, if you have on hand. Should you live in a part of the world with access to the best and freshest san marzano tomatoes, please, by all means, substitute tinned with fresh. As for what to do with the leftovers, stay tuned. I’ll be honest with you. This was definitely a pat on the back moment. Spring is in the air but I’m still walking around with the heaviest winter coat [and getting weird looks, it’s true, but I’d rather be too warm than cold…] – point is it’s still chilly. Which is why, on a hump day like today, this, is, perfect. Especially, especially, with a side of grilled cheese – Gruyère on Walnut bread, in this particular instance - American style. Go on. You earnt it. Now, while this may not require much of a recipe per se, I do hope it just makes you think twice about chucking leftovers. We’re just trying to change habits here, one #1Dish1Week, at a time. In a bowl, dissolve the bouillon powder in boiling water. Then pour all of the ingredients (bouillon water included) into your blender, or immersion blender (hand mixer) beaker. Blend until smooth. Add water/stock until your desired consistency is reached - added an additional ¼ cup, ½ cup total. Season to taste with salt and pepper. Pour into a saucepan and heat until hot to touch (medium-high for 5-10 minutes, or, if you're feeling lazy, microwave for a couple of minutes on high), and serve. Topped with a drizzle of olive oil, dollop of sour cream/full fat greek yoghurt/crème fraîche and or fresh herb sprig. With a side of Grilled Cheese, as pictured here. Topped with grated cheese instead, and dollop of pesto. Cold, for a refreshing spring/summer meal. A fresh slice of your favourite bread. With the addition of a chopped grilled sausage and or bacon if it’s just that kind of day. For some reason I feel that galettes are synonymous with spring. Which is why, our next ratatouille dish is just that. Now I did have to make a couple of these until I got it quite right – don’t worry, all were eaten! – and the pre-bake shots were most definitely of the first round, which while aesthetically perfect pre-bake, flattened entirely during the bake, into little mini pizzas. Tasty! But not quite what I was going for... Which is why there is only 1 in our post-bake shots… but sshh. It is thus very important not to overstuff, leave a boarder of at least 2cm, and be sure to press your pastry down over your ratatouille, until it squidges at the centre. And with all that said and done, you will have yourself the most satisfactory little savoury galette. nb. This is where you take those pinched edges, fold each over to the right, and press down - with enthusiasm - over the ratatouille. nibs etc. original recipe. Serves 1 as main, or 2 as appetizers. Flaky Pastry is something I always try to have in my freezer, and will take just over an hour to defrost. Roll out your dough until 3mm thick, using the under-rim of a plate/bowl/cake tin, cut out 2/1 disk, which will ensure you have a round shape. Then proceed to roll/flatten until 1-2 mm thick. (Roll the rest of your dough up into a ball, re-wrap in cling film and press into a disk – storing for an additional few days in your fridge). Place about a heaped tablespoon of ratatouille into the centre of your dough round, and spread with the back of your spoon until there is at least a 2cm boarder all the way around. Sprinkle fresh – or from frozen, like me – or dried thyme over your ratatouille, top with a pinch of salt, and rings of red onion. 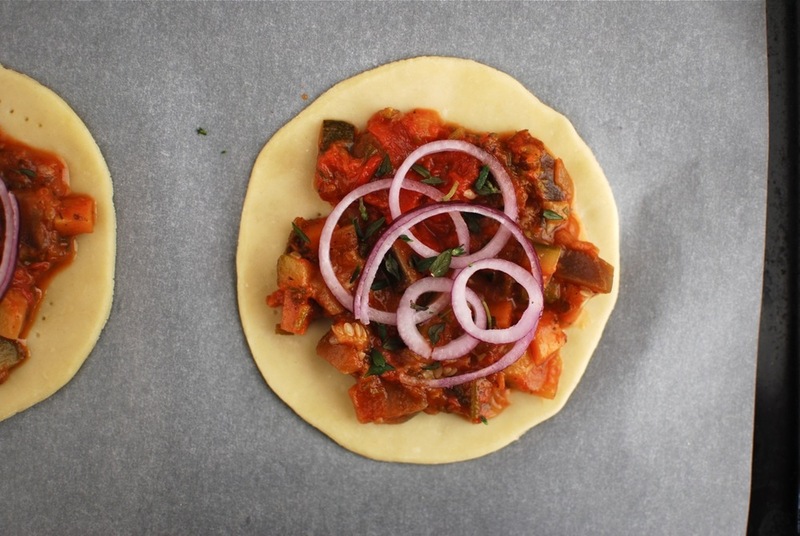 Then fold over the edges of your pastry as you would a sweet galette (see here for example), making sure to press the pastry firmly down and over the ratatouille – it will smush a little in the centre – that’s alright. Crack your egg into a bowl, add a drop (1 tsp) of water, whisk well, then lightly brush (or with fingers…) the edges of your pastry. (Save the egg in a bowl, covered, in the fridge, for tomorrow). Place in the oven and bake for 20-30 minutes until golden brown and bubbly. Serve topped with crumbled feta, cracked pepper, flaky sea salt, roughly chopped carrot tops (rinsed under hot water to get rid of the fuzz), and a drizzle of EVOO. As mentioned above , either as 2 small appetizer galettes, or 1 large single portion. Served with any salty crumbly cheese: aged ricotta, parmesan. With the addition of a side salad or topped with arugula, fresh parsley, plus a drizzle of reduced/aged balsamic. Something light. Something yummy. Something filling. Something healthy. Sometimes, that is all you want. And without further ado... Lunch - or light dinner - is served. nibs etc. original recipe. Makes/Serves 1. Warm through your Ratatouille in a separate saucepan until most of the liquid has evaporated. Heat a drizzle of olive oil on medium. When warm – a drop of water will sizzle upon touch of the pan – pour in your well whisked egg into the pan. Make sure it is swirled evenly all over (pan should be 25cm in diameter, max). Cook on medium low, covered, until the edges start to pull away. When you are able to pass a spatula under your egg crêpe, turn off the heat, pour on your ratatouille – in a line on the right side – and slowly start to roll your crêpe from right to left, encasing your ratatouille. 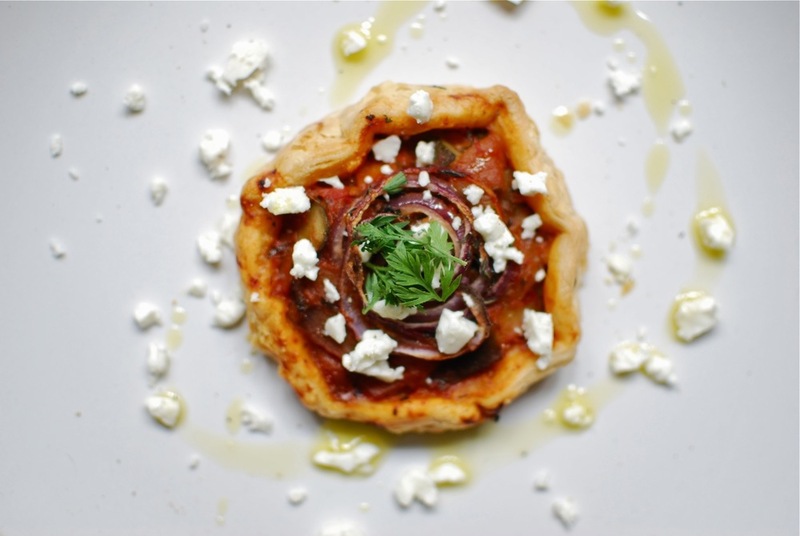 Roll onto a plate and serve with a couple of slivers of thinly sliced red onion, crumbled feta, roughly chopped carrot tops, flaky sea salt and pepper to taste, and a drizzle of EVOO. Turn into an omelette by adding an additional egg and a drop of milk. Cook in the same way – though it will take a few minutes longer, unless you like to leave it soft on the inside. Top with fresh greens and or herbs of choice: arugula, parsley, mint, cress, celery leaves. Weekends are meant for odd eating hours. In defying the system of our weekly schedules, by having dinner at 4am, breakfast at 3pm – or whatever the case may be - we confirm to ourselves those sweet 48 hours of freedom. And we also get hungry at all hours of the day because of this, which is why these are perfect. To fill in that would-be-lunch-or-dinner-time that got postponed 4 hours, because, weekend. Or, store this one away for that day you had a weird one at work so you snacked your feelings away, you went to a post-work drinks party but didn't quite get the positioning right so you missed all the nibbles. Or maybe you just wanted something small. Quick. Easy. Using 2 additional staple pantry ingredients. You could even turn these into little hors d'oeuvres of your own for tonight’s drinks. nibs etc. original recipe. Serves 1, or makes 4 mini. Heat your oven to 200*C/390F. Lightly toast your bread. Drizzle with olive oil and salt. 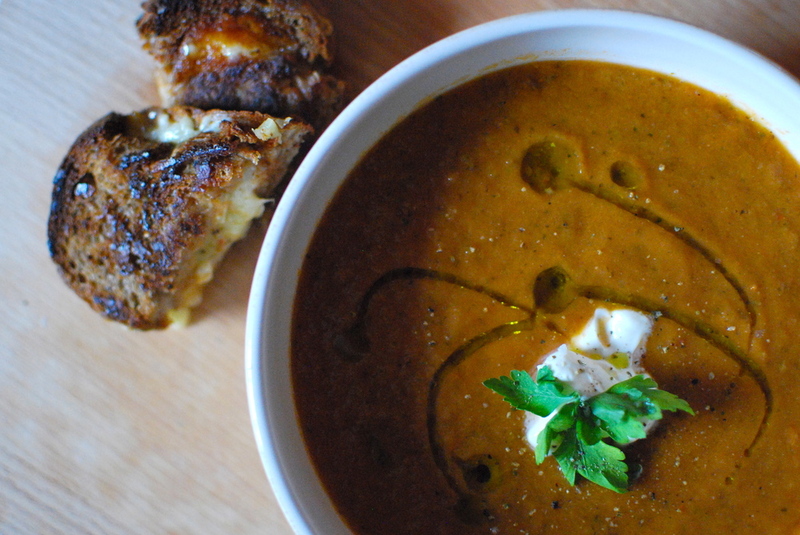 Drain the Ratatouille of most of its juices (so as not avoid soggy bread). Arrange the Ratatouille on the lightly toasted bread, and bake/warm through for 5-10 minutes. Then switch your oven to grill, and top with as much (or little) cheese as your heart desires, and place under the grill until your cheese begins to melt (2-3 minutes). Once ready, remove from the oven, top with flaky sea salt and ground pepper to taste, serve. With a side of balsamic and olive oil drizzled arugula. Topped with cheddar, brie, gruyère. And or, maybe a dollop of sour cream and fresh herbs, if you feel so inclined. One could also be so bold as to heat ratatouille through in an oven proof dish before topping with several slabs of cheese, broil under the grill, and serve as a self-serve dip with sides of crusty bread/baguette. Let’s face it. We all live for brunch. And if we could, we’d eat it every day (I mean who are we really kidding). Luckily for you, with a ratatouille in the freezer – or the massive batch you made on Tuesday with me – you can and no one will judge you for it. And if they do, they’re just jealous. Because they didn’t have the guts to. So, in potentially my favourite alternative application-transformation yet, and ANOTHER reason to love Ratatouille as your make-ahead, batch/multi-meal/repurpose-able (or however you want to put it) dish, it can now transform from comfort food to fancy lunch and or healthy weeknight dinner, to BRUNCH. Ok I think I’ve used that word enough times. Clearly, I’m a fan. And I hope you are too. Peel your half avocado, and thinly slice. Set aside. Drizzle olive oil into a small (5-6in) skillet/frying pan. Into it, tip Ratatouille, and place on medium heat, stirring occasionally. As it heats, some of the liquid will evaporate add a little boiling water (and season to taste) if it gets too dry. Once Ratatouille is heated through (hot to the touch), and starting to simmer gently, turn heat to medium-high, make a well in the centre, into which, crack your egg. Season egg with salt and pepper, cover, and leave to cook. For a partially cooked egg white and runny yolk, ca. 1 min. For a stiff egg white and runny yolk, ca. 2-3mins. For it to be cooked through, ca. 3-5 min. Try to resist lifting the lid, but if you must (which I did...) to check, do so quickly so as to prevent too much steam – needed to complete the cooking of your egg - escaping. When your egg is cooked to perfection, turn off the heat, and serve topped with sliced avocado, drizzle of Olive Oil, flaked sea salt, freshly ground pepper, and grated cheese to taste. With a piece of fresh, rustic, nutty bread, to soak up the Ratatouille juices. Add corn, queso fresco, tabasco drizzle for a skillet Ratatouille à la Mexicana. Topped with the addition of sour cream/crème fraîche, and or fresh parsley/coriander or arugula, with a swirl of reduced balsamic. Did I mention, for the perfect Sunday brunch? While our calendars are trying very hard to convince us it's Spring, I think you'd agree with me that Mother Nature is saying otherwise. Not only is it gloomy outside, half the city has fallen ill because of our bi-polar weather [and when I say half the city, I mean me]. It's gloomy outside, body screaming for soup, hence, our last Ratatouille conversion: Ratatouille Minestrone. aka. hug in a bowl. 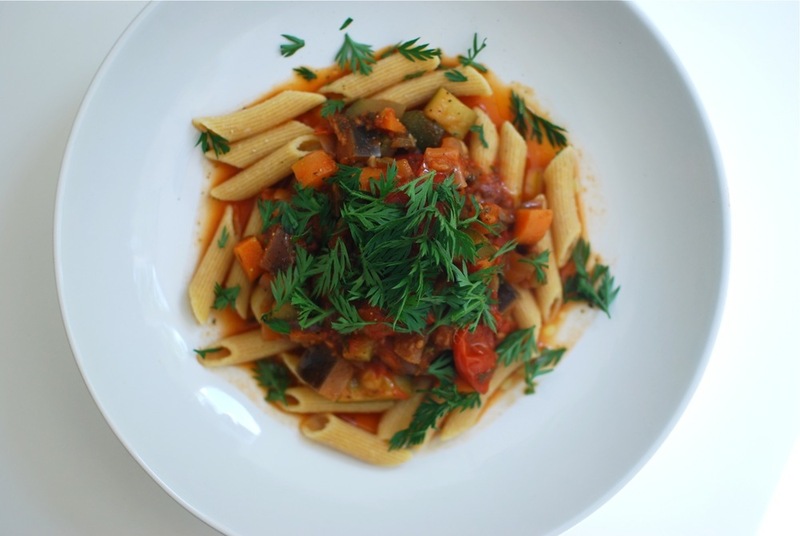 Not only do you effectively use up another cup of your Ratatouille, it's also an excellent use of any leftover pasta you have lying around, (which, in my opinion, is a fridge and store cupboard essential). Killing 2 birds with one stone. Starting the week of strong. (note: if generally when making soups, you work with stock, you can very well replace the water and bouillon with 1/4 cup stock of your choice). Handful of Cooked Pasta (quantity to taste - I used about 2 tbsp cooked) - sliced small (unless using small pasta). In a small bowl, combine bouillon and water until bouillon has dissolved (if using stock, add to the next step. 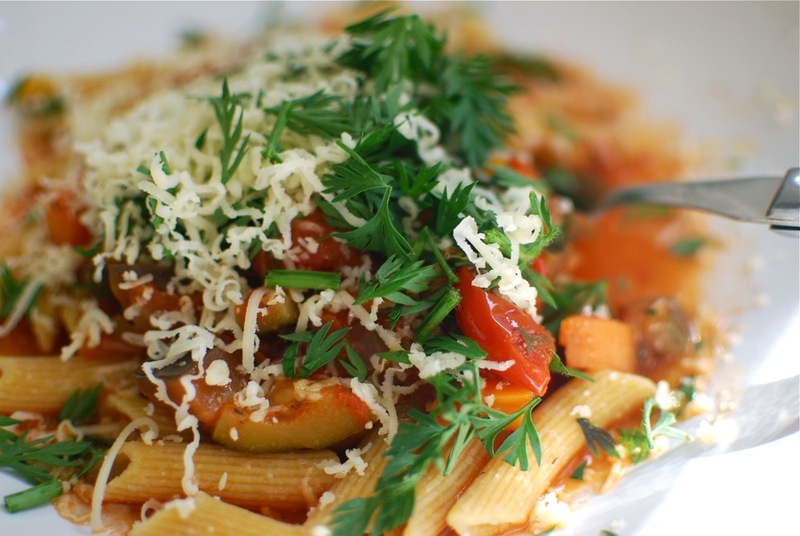 And if cooking from fresh, save some pasta water, season to taste with the addition of a few fresh herbs). In a saucepan, add Ratatouille, water/bouillon, turn heat to medium, and cover to heat through. While your saucepan contents are heating up, slice your pasta. Once the Ratatouille-turned-soup is hot, and water/stock to the desired soup-y consistency, add cooked pasta for about 1 min, to heat through. When ready, ladel into a bowl (or large mug/teacup), and devour (carefully) on the couch, watching the latest episode of Game of Thrones. With a chunk of fresh bread. Topped with crême fraiche, fresh herbs, grated parmesan. Substitute pasta with rice, beans, pulses; chickpeas, butterbeans, lentils. When you're sick, want a light dinner, need something to warm the soul.